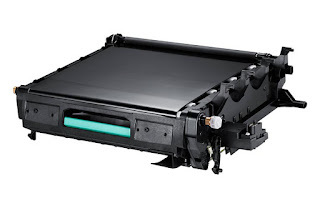 Before talking about cleaning the transfer belt for color laser printer in general, first let’s figure out what exactly a transfer belt is. 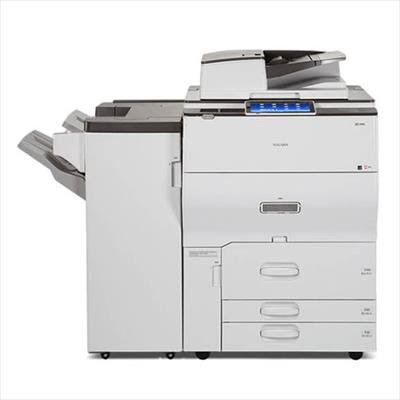 Not all color printers come with a transfer belt, but some popular models, such as Brother HL-3040CN, Canon Color ImageClass LBP612CDW, HP Color LaserJet CM6030MFP, are equipped with it. Simply speaking, it’s a rotating belt carrying different color particles. Usually for printers that only come with black, cyan, magenta, and yellow toners, the color prints directly onto the printing media. If a transfer belt is involved, these colors will precisely apply to the transfer belt first before going onto the printing media. 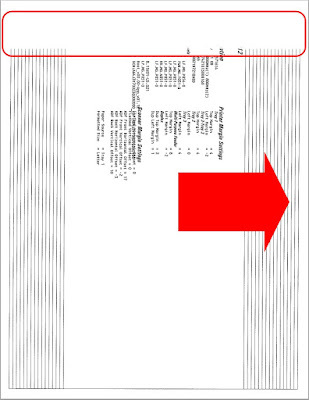 Basically, the use of transfer belt can further ensures the accuracy of colors registering onto the printing media. Cleaning the transfer belt is not required, sometimes you can simply swap out the unit after certain usage. However, properly cleaning the transfer belt can help prolong the life of the unit and also maintain the print quality. 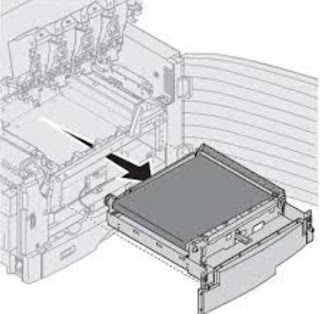 Users can clean the transfer belt by performing a cleaning cycle with softwares provided by the printer manufacturers. First, download the latest driver and utilities for your printer model over the internet or by inserting the disc that came with the printer to run the set up. 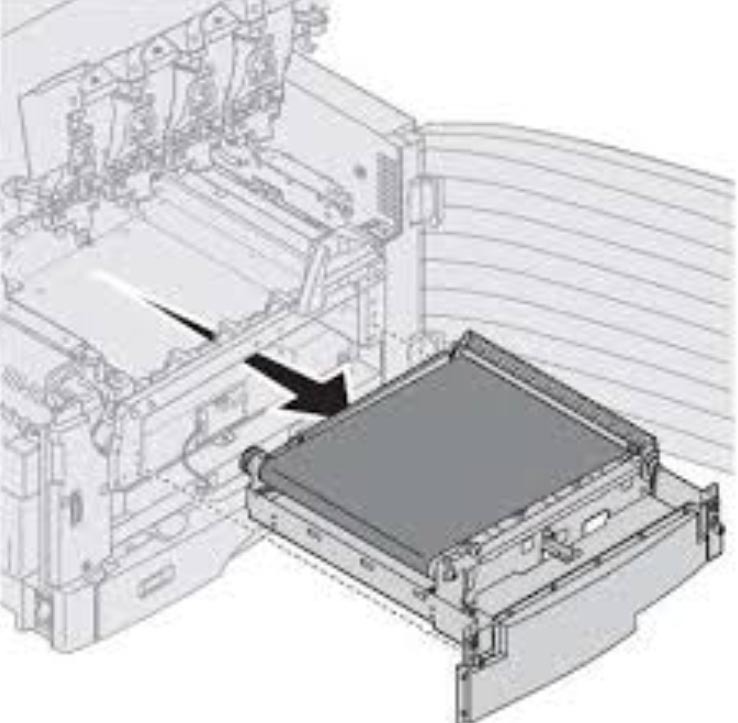 After installation, try to search for terms such as “maintenance” and “laser printer cleaning cycle.” Specific instructions for transfer belt maintenance should be found in those two sections. Follow the steps and make sure to completely restart the printer once done. You can also manually clean the transfer belt if you are pretty familiar with the machine to prevent any possible physical damage. Turn off the printer and unplug the power cord before removing the transfer belt. Please note that the transfer belt can be light sensitive so do not expose the unit under brightly lit areas. 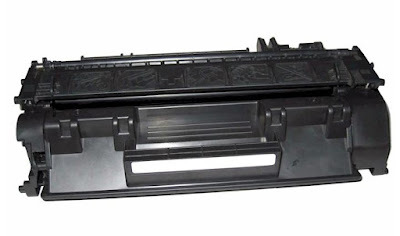 In addition, you might have to remove the toners first for certain printer models. Gently wipe the transfer belt with dry linen free cloth and clean the printer by using a blower to remove any excess toner. Re-install the transfer belt, turn the printer back on, and run a test print to make sure the prints come out clean and clear. These are general instructions on how to clean the transfer belt. You can also refer to your printer manual for a more specific instruction on how to maintain the unit. For other inquiries, simply email us at sales@toner-spot.com and we will gladly help you and we usually reply within 24 business hours. Toner Spot Halloween promotion 10% off coupon code SPOOKY. Free shipping for orders over $75 within contiguous U.S. states. Please visit us at www.toner-spot.com. We’ve talked about what MICR toners are before, now let’s move on to a few things regarding MICR printing. What kind of printer works better with MICR printing? There are some printers specifically designed for MICR printing and use ribbons. However, in case you also need a regular printer for home and office, a more common laser printer might be a better option. 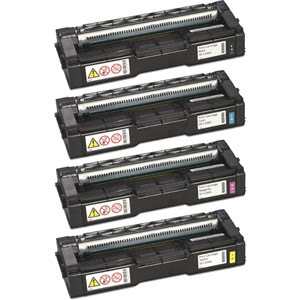 In addition, if you’re looking for affordable re-manufactured MICR printing supplies, there are more MICR toners for laser printer in the market as opposed to the printers using ribbons. We do advise users to search for what MICR toners that are available on the market then compared the printer models to figure out which one works best as a MICR printing machine and a regular printer for day-to-day use. 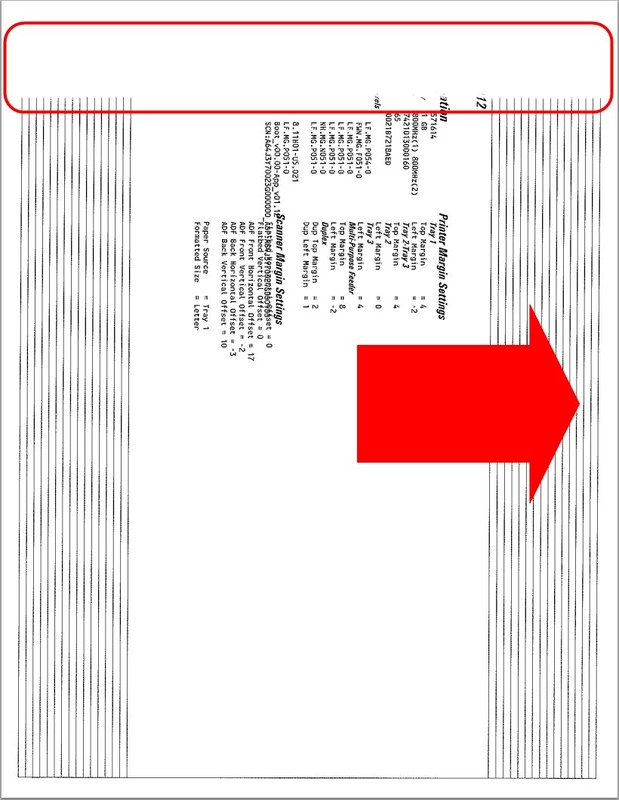 MICR fonts are required to meet banking standards, same as formatting. Make sure it meets the ANSI (American National Standards Institute) and ABA (American Bankers Association) standards in order to prevent check rejections. If you print out a large number of checks and wish to include the signature instead of signing them one by one, consider using a special signature font or incorporate a graphic of the signature. However, make sure the signature does not go over the solid dark line on the bottom of the check, which will also cause the checks to be rejected. Since you’re printing checks, extra security on paper selection seems logical. Specialized paper types can prevent counterfeit, alteration, and unauthorized reproduction. Some even come with background pattern called pantograph. 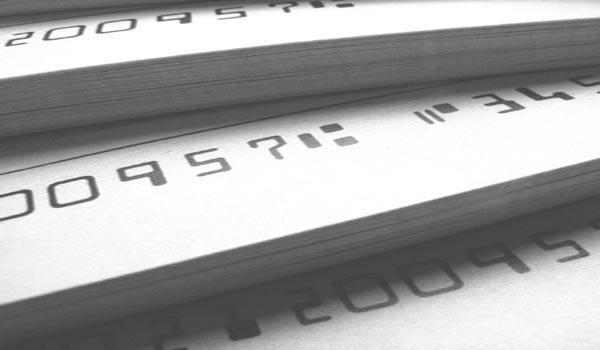 Moreover, extra security can be achieved with some paper that comes with special features that when the checks are copied, the word “VOID” will appear on the check to prevent fraudulent use. Make sure to store the paper stock at a location with fairly low humidity and moisture to prevent damage to the special features. Remember to enter our current 10% off coupon code SPENDLESS at www.toner-spot.com. Free shipping for orders over $75 contiguous U.S. states. Other inquiries please contact us at sales@toner-spot.com, and our customer service team will reply within 24 business hours (and we are usually much faster than that). The Ricoh Aficio SP C252DN printer is a sturdy machine built for medium to high usage home and office environments. This machine can churn up to 21 pages per minute for monochrome document with up to 2400X600 dpi resolution. Users now can even process print jobs remotely, using personal mobile device. One possible cause is due to impact on the printer. Try to turn off the printer power first, wait a few minutes, and then turn it back on. Perform the print job again to see if problem persists. This does mostly associate with toner cartridges. Streaks signal that the toner or toners are almost running out and need to be replaced. If the toner runs out but just a few pages left till the printer job is complete, press the [stop/start] key might get you a few more pages. However, print quality setting can be lowered, but this only acts as a last minute remedy. If you are looking for well made re-manufactured toner cartridges for Aficio SP C252DN printer, consider the ones offered on our Toner Spot website. Current 10% off promotion code HDY10 and all of our website orders are covered under One Year Satisfaction Warranty. Email us at sales@toner-spot.com for other inquiries. We also offer discount to small business and educational organizations.